All Islamic Shariah-Compliant Investments prohibits (Haram) Riba, also called Interest (Sood), because as per Islamic Law, one can’t charge additional money when giving money on credit to someone. Sukuk is basically an Islamic Bonds, but different from Conventional Bonds. 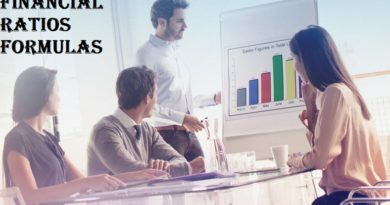 In today’s modern financial markets and business tradings, there are two investments which are attracting investors i.e. Islamic Finance or Islamic Banking and other is Traditional or Conventional Finance or Banking. So today we are talking about one of the Islamic mode of financing called Sukuk Bonds. 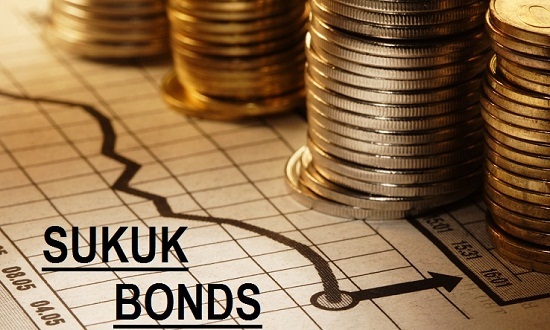 Sukuk Bonds are the sharia compliant fixed-income capital market instrument. The word “Sukuk” is an Arabic name. Most of the Muslim around the world prefers to invest in Sukuk investment, as it’s a kind of Islamic mode of investment, but now it’s an attractive investment for all kind of populations in global market. Sukuk is an Islamic financial certificate, and a direct competitor of Western financial bonds. An individual or company who sells Sukuk Bonds Certificate to a sole investor or group of investors, purchase an asset, and then both parties becomes a joint owner of that particular asset. Basically there’s an agreement between both parties that after some time a seller will buy-back Sukuk Bonds at a future date at par value. A Sukuk investment focuses more on tangible asset profits rather than single monetary benefits. 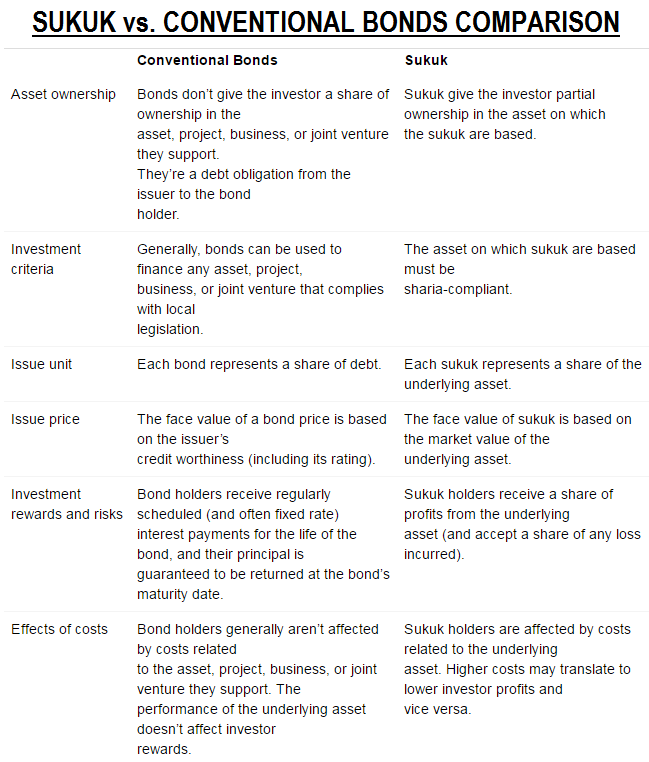 Following are the top 5 differences and comparison between Conventional Bonds vs. Sukuk Bonds. 1. Debit obligation is the basic factor of conventional bond, whereas assets ownership is the basis of sukuk bond. 2. The assets that back Sukuk financing is sharia compliant, whereas assets backing bond in conventional financing may include products or services which are forbidden (Haram) in Islam. 3. Conventional bond price is based on credit rating, but Sukuk price is according to a assets value. 4. Any profit derived from conventional bond is corresponding to fixed Interest (Riba or Sood) amount, whereas Sukuk assets value increase’s sukuk value as well. 5. A buyer when sells sukuk, is selling ownership of asset, whereas the sale of bond is consider as sale of debt. As per the official 2015 / 2016 report of the Thomson Reuters State of the Global Islamic Economy, there was approx. $295 Billion of Sukuk outstanding as of the end of Year 2014. The same report revealed that approx. $1.814 Trillion Assets are being managed according to Shariah-Compliant Investments as of 2014. The same report suggests and predicts that Sukuk Bonds has potential to rise to $3.247 Trillion Assets by Year 2020. Following countries are dealing with Sukuk Bonds investments and financing.